Plus, find out what trends (hello, stack-ranking!) are out for 2014. 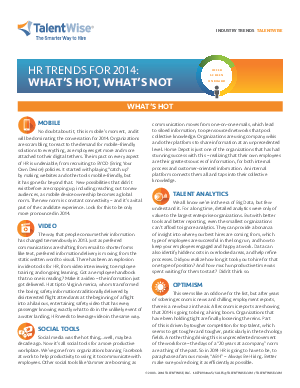 Read our whitepaper and discover what’s trending for HR hiring in 2014.